Winston Gale with his right-hand and wife Khun Sukanya Gale. 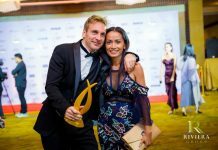 This year’s prestigious 12th Thailand Property Awards was held on Friday 15th September at the Royal Meriden Hotel, Bangkok and attended by over 600 VIPs and senior Industry figures to celebrate the finest developers and their projects throughout the Kingdom. 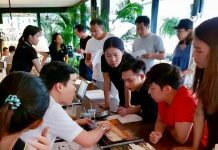 Dominating the Eastern Seaboard and Pattaya Real Estate market for a second year was The Riviera Group with both their ‘The Riviera Wongamat Beach’ and ‘The Riviera Jomtien’ Luxury High-Rise projects. Winston & Sukanya pose with key team members and the awards & plaques. This year saw owner Winston Gale and his team taking to the stage several times to pick up their wins, a grand total of 7 awards, with the most prestigious of them all, the highly converted ‘Best High-End Condominium Development’ 2017 award. 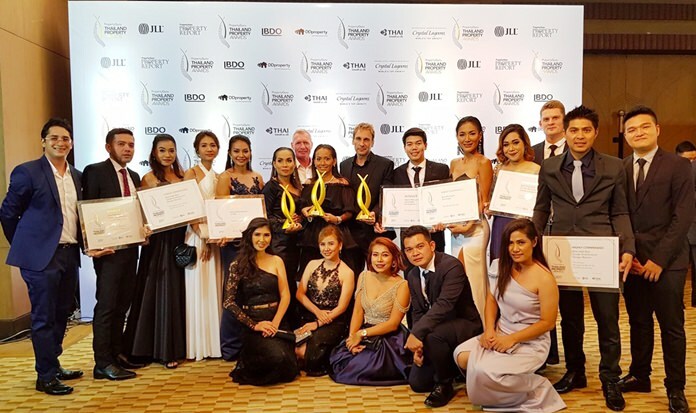 The annual PropertyGuru Thailand Property Awards is the longest-running event of the regional Asia Property Awards and celebrates the best developers, projects and designs in the top tier markets of Bangkok, Phuket the Eastern Seaboard as well as emerging destinations of Hua Hin, Chiang Mai and Samui.